Adrian Ramos – Is the Colombian Striker Set for a Bundesliga Return? It appears to be no secret that Bayern München are currently scouting backup options to bolster their attack, particularly with Robert Lewandowski recently admitting that “this season has been difficult for me”, underlining that starting every game and lasting the full 90 minutes is becoming increasingly more challenging. Bayern have been already linked with a bunch of different strikers including Bayer Leverkusen’s Stefan Kießling. 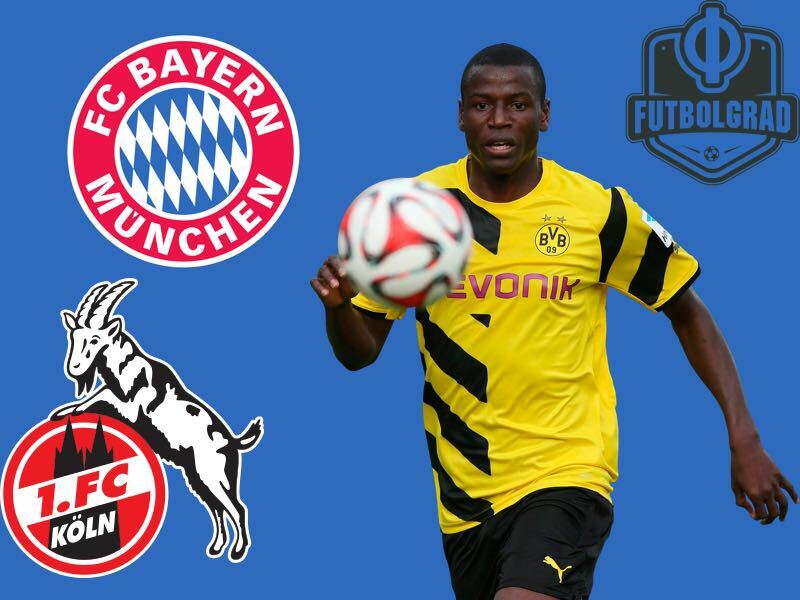 Now it appears that the former Hertha and Dortmund striker Adrian Ramos could also be on the Bavarian’s radar. Currently, without a direct alternative for the Polish striker, his club also seems to recognise there is a genuine need to dip into the transfer market when the window opens in January. He remains the main man in attack for his team, but there is also an acceptance his minutes on the pitch need to be carefully dosed. Although his time at Bayern München has rarely been troubled by injuries, a troublesome thigh problem of late has highlighted that the 29-year-old is still very much human. Bundesliga betting odds at 1.90 favour Lewandowski to top the scoring charts this season, and he is already setting the pace with ten goals in ten league appearances heading into Novem, but his impact may diminish without opportunities to rest and recover when needed. Given such an acknowledgement, it’s no surprise the transfer gossip columns are beginning to fill with rumours and speculation linking the Bavarian club with a host of possible targets. One such target is no stranger to the Bundesliga, but is currently plying his trade in the Spanish second-tier with Granada CF. According to a report published by local newspaper IDEAL Granada, Adrian Ramos is considered to be an “appetising” option that Bayern München have on their scouting list. The Colombian striker certainly has plenty of Bundesliga experience on his CV, including Hertha BSC and perhaps most interestingly, a supporting role as an impact player from the bench during his time at Borussia Dortmund. Adrián Ramos switched to La Liga outfit Granada CF on loan towards the end of the January 2017 transfer window, in a move that was brokered by Chinese side Chongqing Dangdai Lifan and their owner, Jiang Lizang, who also owns the Spanish club. An agreement was also reached that Borussia Dortmund would also be paid around €12 million for the striker. Performances from Ramos were good, but he couldn’t help Granada CF to avoid relegation at the end of a disastrous campaign in La Liga. Despite doubts about his willingness to play in the Spanish second tier, Lizhang convinced the 31-year-old to help the team with their promotion push this season. However, those doubts remain ahead of the World Cup and the player is keen to feature at Russia 2018 with Colombia. Something he will only achieve by playing elsewhere at a top-flight club. Whilst Ramos would certainly jump at the chance of a move to Bayern München, his struggles with both form and fitness this season would suggest nothing more than a passing interest from the Bavarian giants; a simple matter of working through a list of possible options and profiles. Nevertheless, there is another possible avenue for Ramos if he seeks an escape from Granada CF and a swift return to the Bundesliga. German outlet Express believe 1.FC Köln are keen to make a move in January, which would seem to be a more realistic option for the striker and one spurred by the disappointing level of performance from Colombian compatriot, Jhon Cordoba, since his €15 million move from Mainz 05 in the summer.